The egg shape comes back now and again in Fabergé's creations, and here comes an egg-shaped box. It was made by workmaster Mikhail Perkhin, sometime between 1896 and 1903! 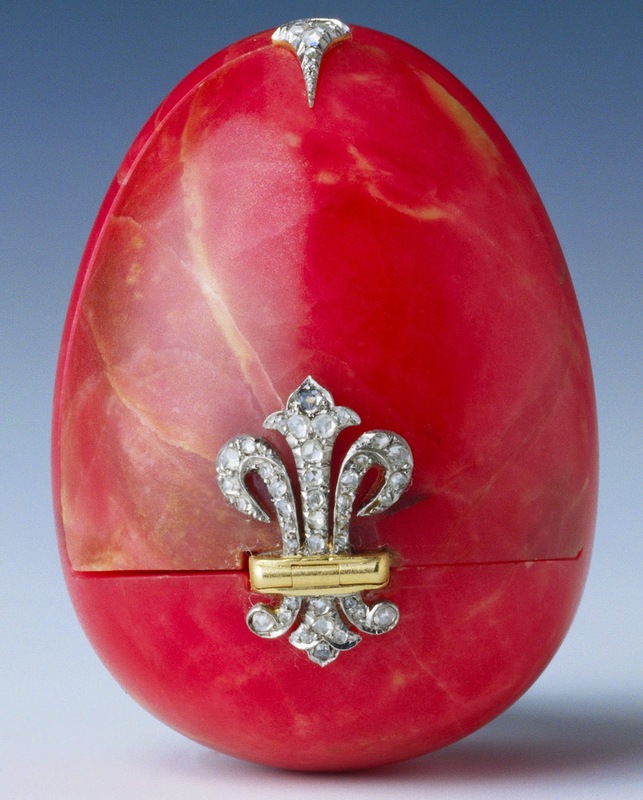 Fabergé was very influenced by the tradition of hardstone carving in Russia, and this egg is carved out of Rhodonite, a form of striated pink marble. The hinge is made of gold and decorated with a diamond-set fleur de lis. The top of the egg also has a diamond-set decoration. The egg now belongs in the Royal Collection.